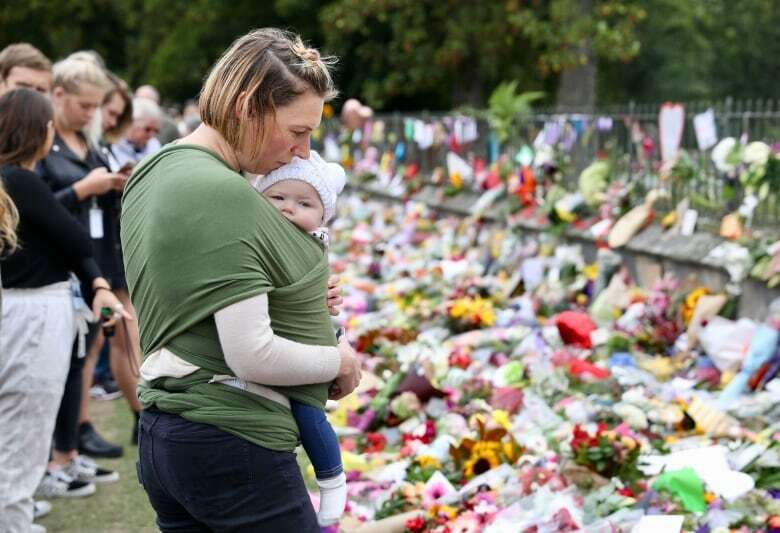 Along the perimeter of Hagley Park — a lush, sprawling stretch of green in the centre of Christchurch, New Zealand — are connections to Friday’s horrific mass shootings at two mosques. Fifty people died in the attacks, which targeted Muslims gathered for Friday prayers. On the west side of the park is the Al Noor mosque, where 42 people were killed as they prayed. The area around the mosque is still blocked off as police continue to investigate at the first site the gunman attacked. To the east is Christchurch Hospital, where 30 people wounded in the shootings are being treated. Security officers stand outside the hospital with lists naming the wounded — there to allow loved ones in, and keep others out. Just to the north of the hospital are hundreds of flowers, cards and candles placed as a tribute to the dead. For the past three days people have streamed by leaving tributes, and in some cases crouching down to pray. “I am Muslim myself,” says Eva Angali who stands with one arm around her boyfriend, while the other hand wipes away tear from her face. 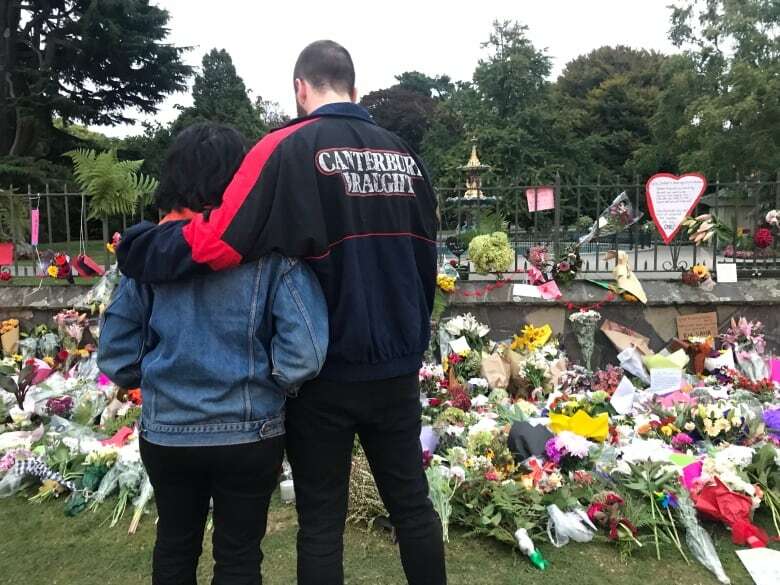 Angali, who immigrated to New Zealand from Indonesia, says she doesn’t safe at the moment because she worries Muslims in Christchurch could become targets again. The investigation is ongoing, but Prime Minister Jacinda Ardern has said it’s believed the shooter carried five guns, including two semi-automatic weapons. He says he’s not sure if the shooter ran out of bullets or got scared. 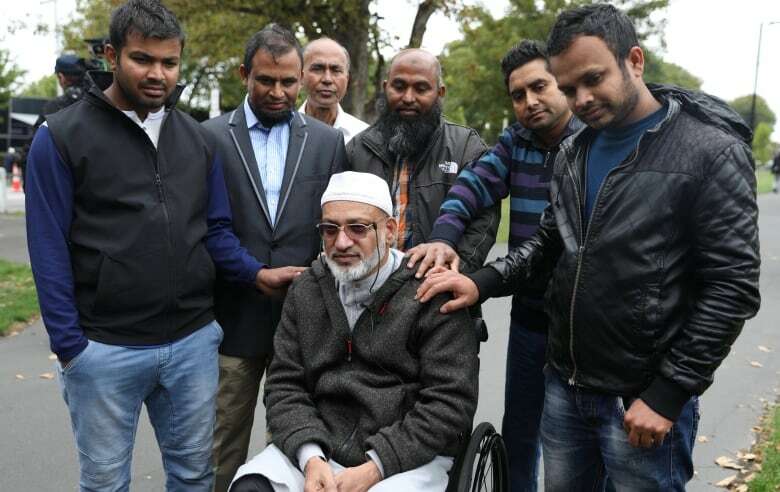 Aziz, a furniture store owner and father of four, couldn’t go anywhere near the Christchurch hospital on the weekend without running into someone who had been inside the mosque and who now considers him a hero. Among the dead, 47-year old Husna Ahmed, whose husband Farid Ahmed said she died while trying to help him escape the mosque. Ahmed says wife had led a group of women and children outside of the mosque and had come back into to try and rescue him, as he is a paraplegic and in a wheelchair.